…your visit of Tokyo wouldn’t be complete, without experiencing the sensational views from the tallest Japanese structure…the Tokyo Sky Tree ! I felt a bit undecided at first. I have been on Burj Khalifa, Petronas Tower or Empire State Building, but I am very happy I decided to go and witnessed the unbelievable scale of the Japanese capital. With height of 634m / 2080ft , Tokyo Sky Tree holds the title for the world’s second tallest structure after Burj Khalifa in Dubai ( 829m / 2773ft ) and as there aren’t any tall buildings around, you will even feel much higher. Exciting! 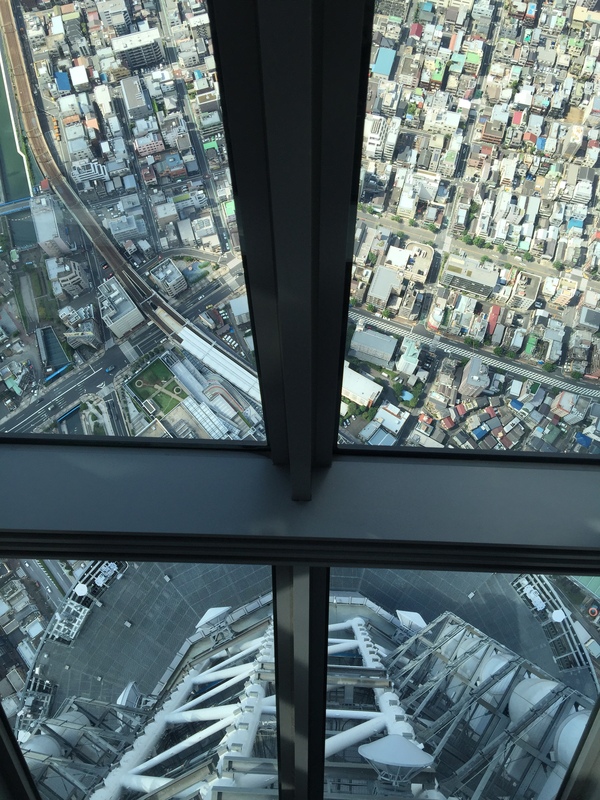 Sky Tree was opened for public in May 2012 and you can choose from two levels of observation ( Tembo ) decks. First in height of 350m and second 100m higher. Lift to the top deck is made of glass and offers fantastic views! As a foreigner visitor, you have the advantage to visit the tower anytime you please, without prior booking. Just look out of your hotel window in the morning (especially good view at the tower offers Century Southern Tower Hotel ) and if the visibility is good, go there straight away. Weather in Tokyo is changing by hour. 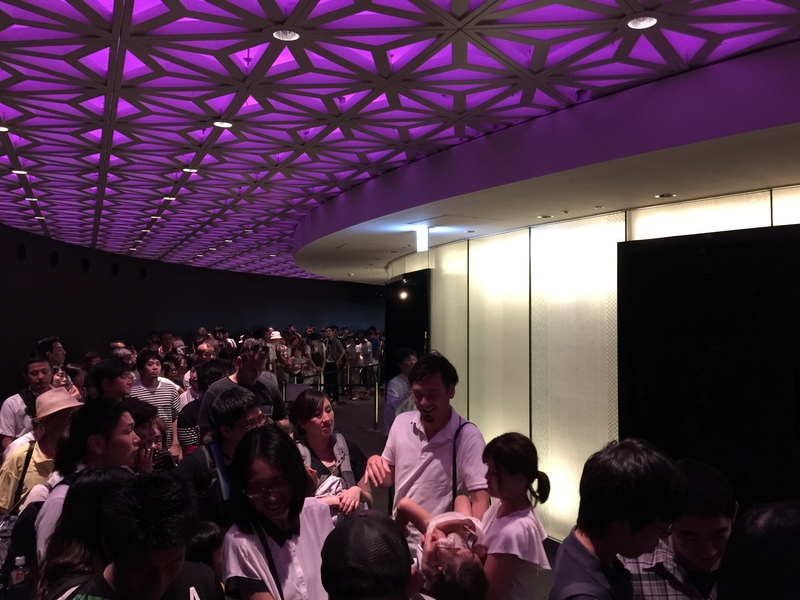 There is a special entrance for oversea visitors, which allows you to skip the regular queues. The both decks ticket is ¥4000 ( USD 40 ). It’s only two US dollars more expensive than you would pay at Burj Khalifa. Also, on the top deck, there is a continuous glass sloping corridor that really makes you feel like walking in the skies. The elevator from the first deck to the second one is a glass one, also offering fantastically terrifying views. The tower feels totally safe and has plenty of technical tricks to withstand earthquakes. After your descent back on planet earth, you can enjoy some dining and shopping in adjacent mall. Previous Post: DUBAI PARKS AND RESORTS : Motiongate Theme Park Photo update !